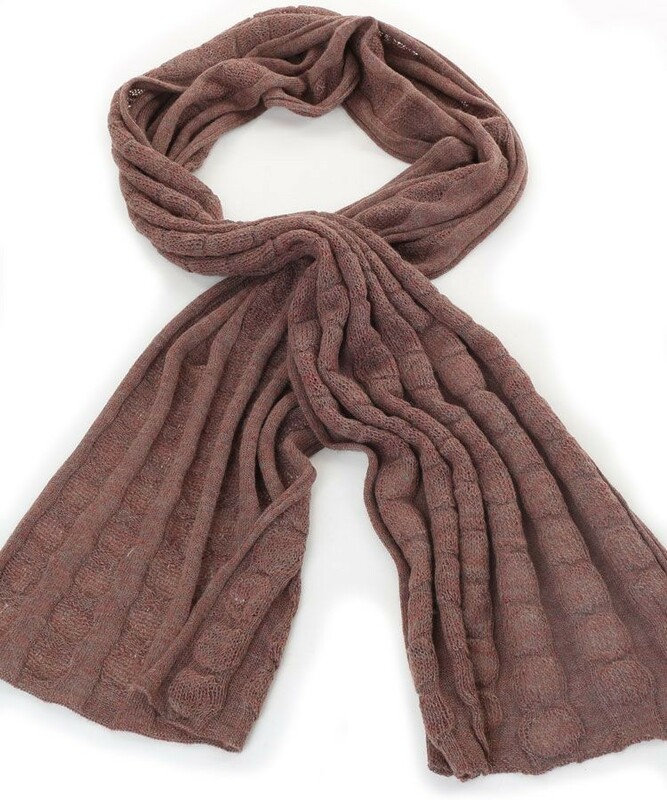 Beautifully lightweight with fine texture in a terracotta colour, just add it to any outfit to complete your outfit. Alpaca is one of the finest fibres in the World, lightweight yet warm. It is the second strongest natural fibre to silk, as luxurious and soft as cashmere yet more durable than both. For people sensitive to sheep wool rest assured alpaca fibre doesn’t irritate most wearers as it is hypoallergenic.